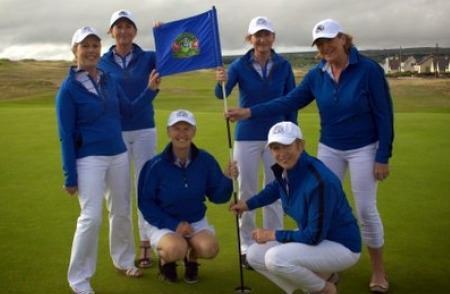 Lahinch Ladies looking to regain WITC title. L-R: Jenny Cagney, Jacqueline Joyce, Aedín McCarthy, Mary Sadlier, Valerie Hassett, Maria Nolan.Lahinch Golf Club will play host to the elite Women’s International Team Challenge on the world famous Old Course next week. The fourth staging of the prestigious event will see teams from San Francisco’s Olympic Club, The Country Club at Brookline, Southern Hills in Tulsa, Fisher’s Island in New York and Philadelphia’s Merion join guests from Nairn and Royal Liverpool in challenging the home team from August 19-22. Lahich will be represented by captain Aedín McCarthy, president Valerie Hassett, vice-captain Jenny Cagney, Mary Sadlier, Maria Nolan and Jacqueline Joyce. The County Clare club won the tournament at Fisher’s Island in 2011 and will be looking to regain the title from the holders Southern Hills. Members of Lahinch Golf Club and the local community are looking forward to welcoming its guests as part of The Gathering. Killarney's Valerie Clancy captured the Muster Senior Open Championship as gusting gales at Waterville saw the event cut from 54 to 36 holes. 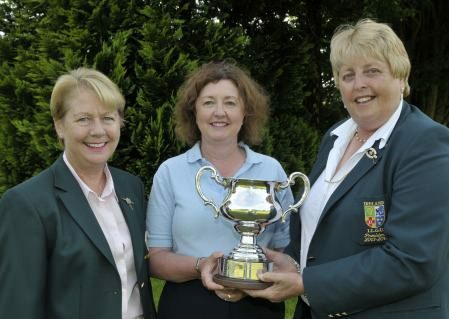 Irish Close champion Sarah Helly will be joined by Girls' internationals Julie McCarthy, Niamh McSherry and Annabel Wilson in the Irish team for next month's Women’s Home International Matches at Royal Wimbledon. Valerie Hassett has been appointed President Elect of the ILGU with her Presidential term of office starting in January 2015.